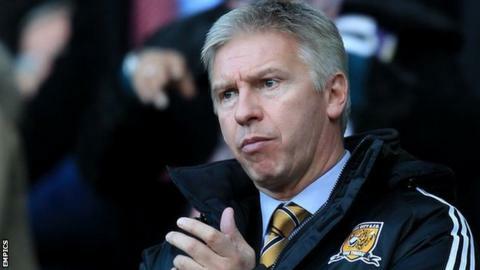 Hull FC owner Adam Pearson has reiterated his commitment to the Super League club after being linked with a takeover of Leeds United. Pearson, who has previously been on the board of directors at Elland Road, has been with the Black and Whites since 2011. He told the club website: "Hull FC is mine. I own the club, it's my baby and I want to grow and develop it. "My focus is completely on Hull FC and my other business interests." He added: "Football is my business and I'll always get rumours and connections in football as that's my industry. "Leeds is a club that I live close to and I've worked there before so I understand how big a club it is but at this minute in time, it's not for me. "There'll be no movement to Elland Road in the near future. This is my complete focus and so I'd like to quash those rumours once and for all. I've not made a single comment in the press about it and all my focus and financial backing is on this club. "Certainly I won't be leaving FC until there's some silverware and we're established as a top Super League club. I want to win something and try to get into that top four." Earlier this month Pearson, who has had spells as chairman at Derby County and Hull City, said he would "definitely" return to football at some stage. Leeds United's owners GFH Capital said last week that they were looking to bring new investment to the club but were not interested in selling a controlling share. The Dubai-based private equity firm have already rejected one bid believed to be for 51% of the club from an unnamed individual. Neil Warnock's side are currently ninth in the Championship, six points off the play-offs with 13 games to play. Read more on Leeds United owners GFH Capital reject offer for "majority stake"